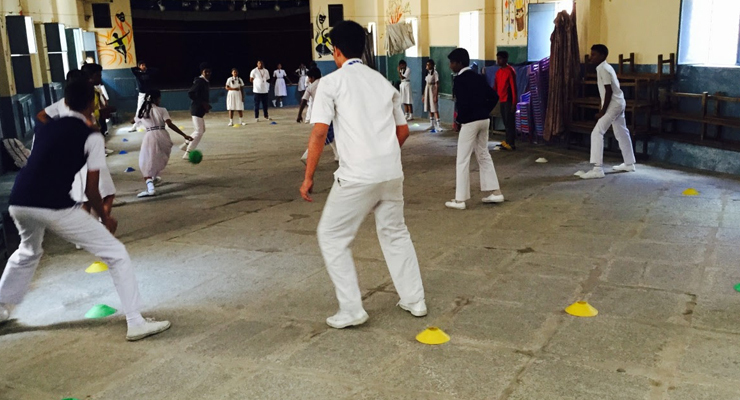 Fund raising through Bengaluru Marathon helped us to procure Sports Mat for the school - Thanks for your support. “Each and every student is a Happy, Healthy, Creative, Self-expressed, Dynamic, Giving & Thinking Individual”. 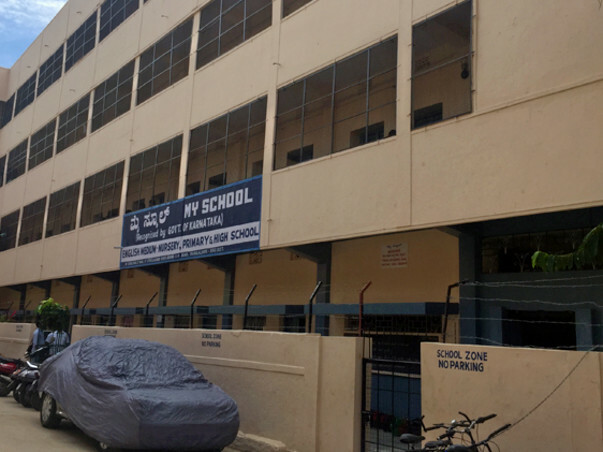 With this vision, in a crowded area at the heart of Bangalore, "My School" stands tall in its arresting old building with airy, spacious classrooms, providing education for the past 50 years to underprivileged children coming from low income families whose parents struggle to make ends meets. The school is providing all facilities like Library, Science & Computer Laboratory, Multimedia Smart Classroom for students from Nursery to Tenth Standard. The only thing lacking in the infrastructure is a playground or access to nearby public grounds. With no alternative the school is using its large auditorium with high roof for sports purpose. It has implemented a well-designed sports program with professionals to equip students with skills for major sports like football, karate, volley ball etc by training them for agility, flexibility & strength. Many students have shown the promise of making it big in the area of sports. The disadvantage is the floor of the auditorium is made of stone slabs which is hard and not the correct surface for sports. 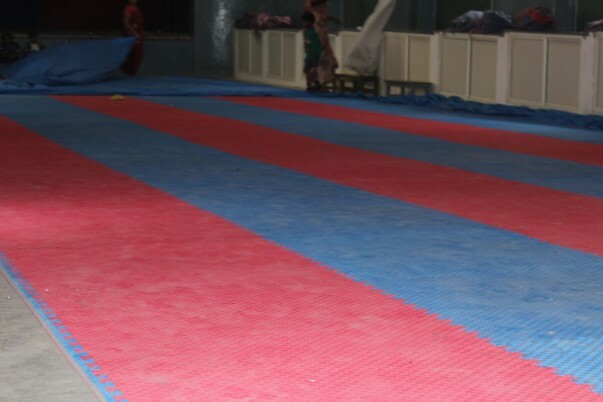 Experts have recommended using of sports mats which are widely used in most of indoor sports facilities. 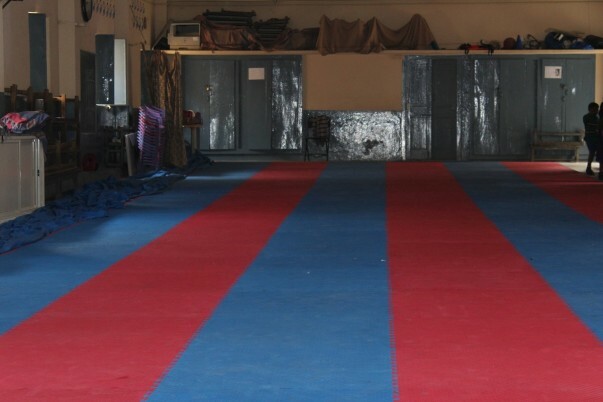 If the mats are in place, the school is seriously considering a sustainable program where students can consistently practice to master their skills. I visited the "My School" a few days back to cover their campaign to procure a sports mat for the school. You will be happy to know that the campaign was a grand success. 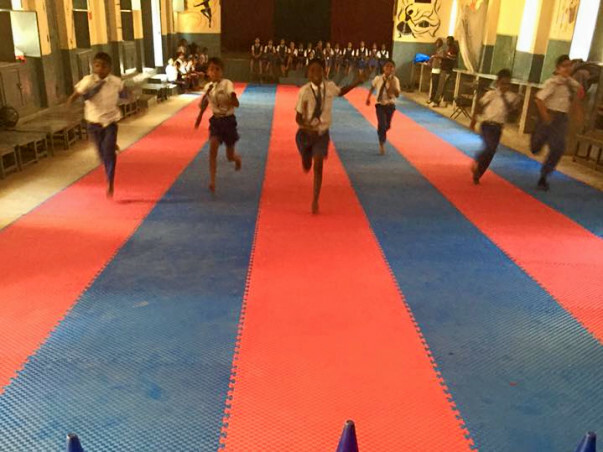 The mat that they bought was a taekwondo mat that covered the length of the whole school auditorium. It was an inter-locking mat that can be removed and re-laid anytime. Children were running and playing happily without the fear of falling down. The PT master said that the mat has helped him implement a serious sustainable sports program which includes training for agility, flexibility and strength. Below are some photos I have taken from the school.